How growing a forest garden – a food forest – can generate health in more ways than one! Are you aching to find ways to bring wellness and health to you and your community? To reconnect with where food comes from and our environment, in more sustainable ways? We can learn how to use our outer world to bring greater health internally – to our body, mind, and hearts. By being in the presence of nature, observing and studying nature, and by following the principles that the wisdom of mother nature reveals, we can learn to do this for ourselves and share the joy and wisdom with others, too. Imagine moving in a space crafted to nurture edible and medicinal plants, so that they can co-exist. Where birds, insects, critters, and people work together to support the greater good. A place where you’re calm and bright enough to notice the beauty around you. That’s why we’re hosting this event with Richard Walker, in partnership with the Cranbrook Food Action Committee and reGenerate Design! Richard is a food forester, designer, herbalist and teacher with over 30 years experience. He has designed community and private forest gardens throughout BC. He spent his early years as an organic farmer in Alberta. 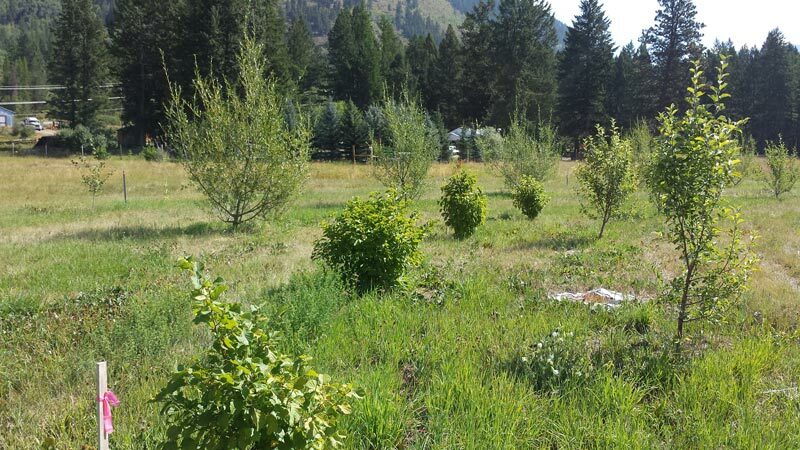 He later moved to Grand Forks BC where over 20 years he transformed his 3 acre property from a bare horse pasture into a lush self-sustaining forest garden with over 400 nut trees and seven storeys of food and medicine bearing perennial plants and vines. Having converted a degraded piece of land into an abundant mix of rare, unique nut, fruit and medicinal plants from all over the world, he is one of Canada’s most experienced food foresters. Richard shares his studied and practical experience in a respectful and approachable manner to inspire grower enthusiasts and save many from years of trial and error. He also has a great depth of herbal medicine knowledge and has developed herbal medicinal tinctures and teas for over 25 years. He shares his knowledge of plant biology to promote healthy living through the philosophy of food and herbs as medicine. What really adds to Richard’s credibility is that he lives as he teaches. He lives simply, creatively using his skills to bring food from the soil to the table, and in doing so teaches us how food and plants create a culture of true sustainability. In his own words “gardening for a 1000 years”. Visit the Clear Sky Centre website for full details and to register for this food forest course. Check out this video of Clear Sky’s one acre food forest in it’s third year of life!